UK food wholesaler Booker Group has agreed a deal to purchase the British operation of German wholesaler Metro for £139.7m. Given that the two companies were once rivals, this deal marks a change in the cash-and-carry marketplace. Booker has agreed to buy Makro (the UK operation of German group Metro) for £139.7m in a cash and shares deal. 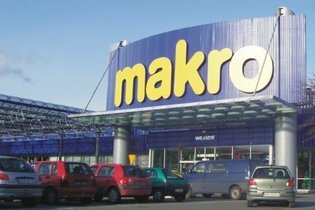 The deal is a good opportunity for Metro to get rid of its Makro chain, which has suffered a 12% slump in sales since 2009. We suspect there will be some store closures as a result of the deal, especially in regions where the two chains have a store each…. Booker will purchase the Makro chain for £15.8m cash, with the rest paid in shares totalling a 10% stake in Booker. The British firm is performing well compared with Metro, with revenues up 10% in the year to 30 March, and touching £3.9bn. The deal is still subject to ratification from Booker’s shareholders, but given the extent to which the deal would extend Booker’s offering, critics expect the deal to be approved without a hitch. The bolt-on allows Booker to expand into the stationery and office supplies market, diversifying from its core offering of food. Not to mention that Makro already stocks three times the number of products that Booker does. Combine this with Booker’s so-far successful expansion into India over the last six years and you get a strong proposition from a conglomerated wholesaler. Making Makro work will be a strategic challenge, however. The chain has 30 sites and more than 3,000 employees, but posted a pre-tax loss of £62.3m last year. But with Booker’s 10,000 workers and more mature online selling and delivery infrastructure, Makro’s fortunes could be drastically improved by the sale.